Winter is peak season for 24 hour towing in Melbourne. Many motorists aren’t aware that there are many ways to prepare your car for the colder weather. 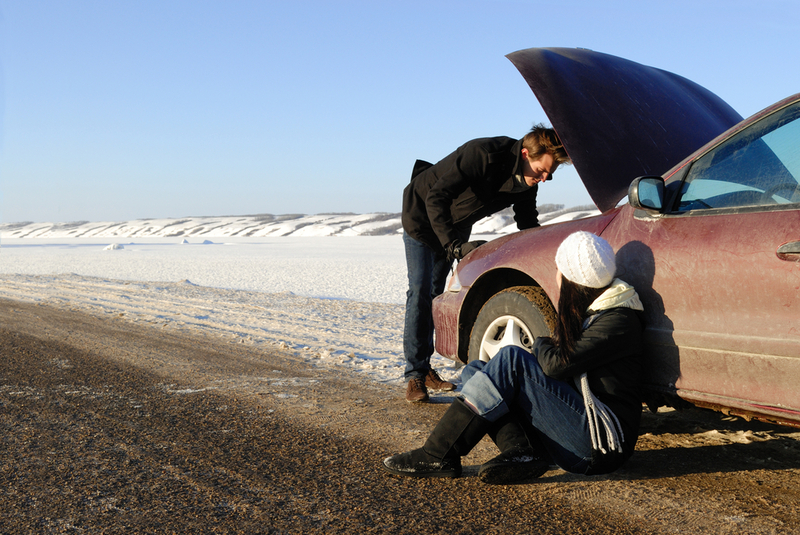 To help you avoid a breakdown this winter, follow our top list of tips below! Stay fuelled up: You obviously want to make sure that you do not run out of fuel on a snowy, cold or windy day — or any day for that matter! But there’s also another reason why you should make sure your tank doesn’t go below half full during a cold winter: low fuel levels can result in condensation forming, which makes the engine run poorly. If you’re planning on going a longer distance, fill up before you go. Check the battery: Flat battery calls are one of the major reasons for tow truck callouts every year and many of these calls can be avoided by simple maintenance. Your battery needs special attention with the onset of winter, as winter is the most likely time of year for your battery to fail. It’s the time when all the electrical components are working hardest and the battery is often the weakest link in the chain. Have your starting and charging system tested every six months, as the naked eye can’t always detect battery corrosion. Check your brakes: The braking system is the vehicle’s most important safety item. As the roads get wet and icy, breaks become even more important. Worn brakes can extend your stopping distance and increase the risk of a collision on a wet road. If you’ve been thinking of getting new brakes or pads, don’t wait any longer. Check your tyres: Check your car’s tyres for wear and tear. If the pressure is too low or tyres are worn below the legal 1.5 mm limit, they will have less grip on the road and may increase your stopping distance. Rotate your tyres and have the alignment checked, as this keeps all four tyres from wearing down in the same spot over time. In other words, mixing up the tires keeps the tread depth and pattern continually changing. If the tyres are never changed or aligned, they develop uneven tread, which hampers your vehicle’s ability to grip the road and maintain control. Change your wiper fluid: There are ‘summer blends’ and ‘winter blends’ of windshield wiper fluid that each have different compositions. The summer blend is mostly made up of water, whilst alcohol is added to the winter blend, making your washer fluid. This makes it less likely to freeze as it hits your windshield. You can even purchase a winter blend solvent that contains de-icing properties. With these simple how-to tips, your vehicle will be better prepared for the winter months. Of course there are those breakdowns that you just can’t prevent. If you do endure a breakdown, for a cheap and prompt 24 hour towing service in Melbourne, call Anytime Towing & Transport. We’re here to help, any time of the year!